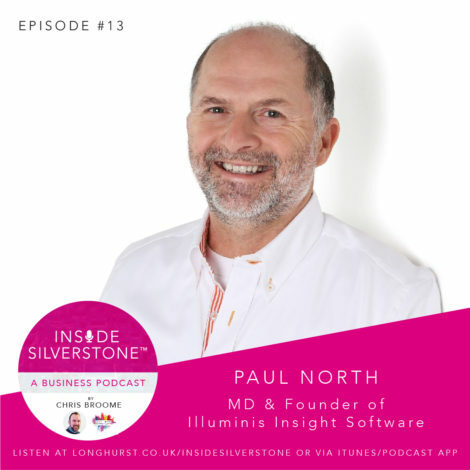 In episode #13 your host, Chris Broome, interviews Paul North, MD & Founder of Illuminis Insight Software. Listen as Paul introduces their revolutionary ‘Octelas’ business intelligence software; explains what ‘data democracy’ is; and talks through the success they’re already experiencing following the Growth to Green business programme via Cranfield University. Chris also quizzes Paul on his Pavarotti’esq tenor singing; as well as his competitive sailing which has seen one or two soggy conclusions.